of the summer. In spring I planted dozens of nasturtium seeds, because I wanted to paint some nasturtiums. Unfortunately, I later realized that one of my seed packets was from last year, and I guess the seed does not keep well. I got a very low germination rate, despite pre-soaking. And so far this is the very first blossom (with no other buds visible either). I guess my soil has gotten too rich. Or maybe it just wasn't an ideal year for nasturtiums? Obviously not ideal for me at any rate! Those mints are my still-life props, I swear! Actually, I really don't have much of a sweet tooth (with the exception of chocolate.) Yet I love to paint candy and other sweet treats like cakes, buns, and doughnuts. They represent in some degree the sweetness of life, and their forms are purely pleasurable to behold. Even to someone (like me) who'd rather have a bag of potato chips than a lollipop! It is hard to compete with the latest gameboy cartridge sometimes. Lately there have been some signs that maybe all is not going so well with our beloved friend. I woke up to a few realizations. At about age 13 or so (we got her from a shelter so had to guess her age) Daisy is now considered a "Senior" cat. I accordingly changed her diet, hoping that the problems would go away. They lessened, but are still in evidence, leading me to the other realization: I have to take her to the Vet. I don't balk at that, but wonder what it may lead to. Because an old friend of mine recently called to talk over HER cat's health issues with me. Seems "Georgie-Cat" has some serious stuff going on that has already cost several hundreds of dollars to diagnose. Now my friend is faced with some tough decisions. The cat could live for a few more years, although he is on the old side, but only if they spend thousands of dollars (a year) on medication plus give him a daily injection. Both my friend and her spouse are needle-phobics who get faint at the sight of blood. Not to mention the fact that they are not wealthy. They love their cat but are torn with indecision about what to do. It reminded me that I was once chatting to a frail older lady manning the cash register at our local Trader Joe's and she admitted to me that, being on a small fixed income as she was, she had had to take this job to finance her cat's vet bills and medications. Somehow, seeing her hand trembling as she lifted the 16 oz can of chick peas to the scanner, I felt that this was perhaps not right. But what do you do? When do you decide to pull the plug on expensive treatment for the family pet? Is one a heartless Mengele for even considering the options, or a sentimental fool for considering pouring thousands of dollars into healthcare for an elderly feline when people are dying of hunger in other parts of the world? Is it ultimately kinder to the animal to not prolong its life unnaturally or is it just more comfortable for the bank balance? It feels wrong to put a limit on what you would pay to help a "family member" who needs health care, but on the other hand, where does it end? I'm hoping that at least this time, all Daisy needs is a check-up with mild "tune-up": maybe a simple blood test, some vitamins, a course of pills, something like that. I don't want to decide if I am going to have to put a price limit on our love. At least, not yet. There is almost something sacramental about opening the dishwasher in the morning and seeing the diamond sparkle of glasses and plates, washed as clean as clean. Especially if you were the one who loaded the dishwasher up the night before with all things smudgy, sludgy and malodorous. Press the button, and voila! A miraculous transformation has occurred. Her broad bosom the ever-firm foundation of all..."
This is the Koi pond at The American College. I was there picking up invitations for a show I am going to be in at one of their galleries. I had to bring P and H with me (no camp and no playdates as everyone else IS in camp) and I thought this would be a bit of an ordeal for all concerned. But while I was talking business the boys ran off to explore and found this gorgeous pond boiling with fish, and a fabulous site sculpture, and adorable winding paths by a verdant stream etc. etc. All of which I would probably never have seen without them. Metaphor for parenthood? This storm front blew in very quickly. One minute we were all merrily disporting ourselves in our community pool, sunlight glancing off the aqua wavelets and then: sudden gloom. There was a hush, as everyone stopped disporting themselves merrily and looked around to see what was up. It was like a moment from a bad movie. I thought, "Oh no! Here is the scene where all of us innocent extras get blown away!" A few minutes later, the rain came down like a sudden wall of water falling on the earth. Fortunately these sudden violent storms don't last long. We were back at the pool after dinner. Since I am using the (mostly) matching mugs! But not the wedding china, so it must have been a somewhat informal gathering. What a lot you can tell just from someone's cups! This Eastern Tiger Swallowtail looks a bit moth-eaten (hah!) Reminds me that summer is nearing the beginning of the end: a cool night here and there, some trees starting to drop a leaf or two. Summer's glory is slowly starting to fray a bit at the edges, just like this handsome fellow. and preparing to dive. It is amazing to me that last summer H could barely bring himself to jump off the side of the pool. My friend Ellie (this is her pool) gave him a few pointers one day and he just never looked back. 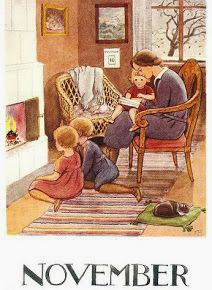 When they are ready, most children will absorb new information incredibly quickly, and with every fiber of their being. Sort of like a piece of wet cloth being dipped in dye. It is truly astonishing. A kind of everyday miracle. Maybe I just notice it more because this is NOT how Henry, H's older brother, learns things. Henry's natural learning process is blocked in some mysterious way by autism and mental retardation. A very nasty combination when it comes to learning, blunting both desire to learn (or to please the teacher) and also the ability to do so. However, it does not impair his "enjoyment ability", thank goodness, and he too loves Ellie's pool! Eleven-year-old P. has been borrowing my camera to make stop motion movies. I found this shot, from "Out of Control Speedboat Attacks Army Men", still in the camera last time I uploaded jpegs. I bought a half share in a CSA this summer. CSA stands for community supported agriculture, and the program supports small area farms, which deliver shares of produce at a drop-off point each week during the growing season. Usually starts out rather thinly with lettuce, parsley and radishes, then you get overwhelmed with tomatoes and squash at some point: whatever the local farmer is able to grow. This particular farm I signed up with has really stood out, starting off the season with strawberries and asparagus, and currently having a lavish hand with the sweet corn and melons, and even a few peaches! And all organic. Nicole, at whose house we pick up our shares, has a wonderful sense of whimsy in the way she presents our weekly bounty. Of course, since I only bought a half-share I had to take a knife to one of these beautiful little melons. It split evenly at the first stab, with a satisfying crack, revealing the juicy glory within. Next year, a full share for sure! Other than the bananas of course, I am often baffled by the array of tropical, exotic fruits at our local supermarket. Baskets of starfruit and zebrafruit, heaps of lumpy things that are mysteriously nameless. I guess they are all contenders in a big game of "Which onetime exotic fruit will become a staple?" This is probably a perpetual battle for supremacy: after all, the common tomato was once seen as exotic and believed to be poisonous. Now I often buy kiwi and mangoes, but I do remember years ago standing in a supermarket aisle by a big kiwi display and asking someone, "How would I peel this thing? And why would I want to?" My iMac G5 died in its sleep yesterday. Went to do some work but it had stopped "breathing" and wouldn't wake up, er, start. I'd be crushed except that Paul's identical computer died in similar circumstances a few weeks ago, and he swears it can be fixed. And most importantly, that my thousands of photo files are still there. Well, I certainly hope so. But maybe I'd better start shooting some film again from time to time, to be on the safe side! Anyway, I put the "dead body" in a bag and brought it downtown to the Computer Hospital. Here's hoping! If it does come back alive, I will name it Lazarus. In the spring we have almost a small meadow of them in one particular spot in our garden. Makes me wonder what is perhaps buried beneath. But I don't really want to know, I just want to enjoy their fleeting beauty and faint fragrance. This is for PhotoFriday's challenge "Violet". H and his friend M caught a big old toad yesterday. They were filled with delight, shrieked for me to come see, then they sat entranced, just staring at it for a time. Then, "When is it going to DO something?" I convinced them they wouldn't be able to train it to do tricks, and that we should put it back approximately where they found it. I thought this would be anti-climactic, but with the resilience of unspoiled eight year olds this was just another chapter in the Toad Adventure. Throughout the afternoon I was treated to periodic updates on the movements of the toad. "Now it has moved UNDER the hedge!" "We saw it BREATHE!" etc etc...The result of our severe TV limiting perhaps. Everything is interesting. just off Elfreth's Alley. I must own up to being one of those incredibly lax people who, because I live practically on top of famous national historic sites, rarely if ever bother to visit them. Last week I had to go down to my gallery in Old City to drop off some paintings, and H had to come with me (it is the summer of NO CAMP.) To sweeten the errand I rashly promised him we'd stop off at either the Fireman's Museum or else the Philadelphia Art Museum on the way home. But of course, it was a Monday and somewhere en route I realized (with that peculiar sinking sensation you get when you realize you are about to disappoint someone) that both musuems would be shut. Oh dear. Fortunately, the gallery is located right next to a great coffee shop/used bookstore. Lorraine, the gallery's director and one of the kindest people on earth, took us both next door for coffee and treats. One block on the other side is Elfreth's Alley, a historic landmark street that I had never once bothered to walk down before. But H and I went there right after our caffeine and book re-fueling. The alley really is a lovely little place, and gives off an almost eerie feeling of stepping into an otherworld. We had our first home grown tomato of the season just a few days ago. I was thrilled and, of course, had to take its picture. It was delicious sliced up, still warm from the hot day, with some Valentino basil (also home grown and just-picked) and a freshly made balsamic vinaigrette. The very flavor of summer to me. Of course this is an individual flavor icon. To some people the quintessential taste of summer might be a dripping slice of watermelon, or perhaps an orange creamsicle straight from the ice cream truck. This would be an interesting subject for a big fat Coffee Table Book, wouldn't it? Lots of luscious photos and mouth-watering text. Send me a contract and I'll get right on it! One thing about having a kid with special needs is that you spend a lot of time driving to meetings at various beaurocratic offices, waiting in dingy waiting rooms, and signing sheaves of paper. Then what often happens is that they call you the next day and say, "Wait! We forgot one crucial piece of paper. Can't fax it. You must come back and sign it in person." So back you have to go. And one nice thing about bringing your camera with you on such life-diminishing errands of tedium is that you can get something positive for yourself out of it. Like this. Saw the truck, grabbed for the camera and shot blind as the light changed. as we headed for the shallows in the lake late afternoon. I liked the abstract pattern, the subtly highlighted ripples on the surface and the green glow beneath, with the pattern of lake weeds somewhere inbetween. An idyllic moment during our recent family vacation in Wisconsin. It was too good a trip in some ways. Coming home to instantly revived demands, stresses, obligations and duties really threw me for a loop for a bit. Thanks to everyone who noticed the long gap between posts and wrote to me: I am now back in the swim. But not, I hope, about to be caught and fried in butter for breakfast!